In a meeting with an IRA gun smuggler the historian Richard English noted how easily the Republican could explain Irish history: “the Brits – they’re the problem, and will be. They have been since 1169, and will be until such time as they leave”. Perhaps a counter factual history of Ireland about what may have been had Richard de Clare, 2nd Earl of Pembroke not led the Norman invasion of Gaelic Ireland in 1169, maybe in order. But then off course, one might posit, had the Protestant reformation suceeded in Ireland in the sixteenth century, the history of Irish nationalism may have taken a decidely different path. What is apparent in both of these perspectives is in the republican case there is the implicit assumption that there has been a continuous Irish identity, a cultural unity based on common language, law and traditions that predated any contact with outsiders. O’Leary and McGarry (1996) reject what they refer to as this ‘crude’ nationalist myth (pointing to the extensive connections Ireland had with the Scottish Highlands prior to the twelvth century) yet what is fundamental to this primordial national identity is that it is an entirely exclusive concept. This is in stark contrast to Ulster Protestants who tend to see their identity as a hybridization of Scottish and Irish culture thus fundamentally British. The religious dimension meant that Republicanism had metaphysical foundations, according to this rationale, martyrdom Is an acceptable sacrifice to achieve the God given destiny of a single Ireland, while early Protestant settlers in the seventeeth century perceived themselves (as Margaret Moore notes) to be: “carrying the torch of Christian civilization to backward Catholics’. Following the nine years war of the 1590’s, King James I, offered land in gaelic and almost entirely Catholic Ulster (in the six counties: Donegal, Coleraine, Tyrone, Fermanagh, Cavan and Armagh) to placate his Scottish subjects (who supported him in his bid to ascend to the throne of England) and partly to ‘civilise’ Ulster – the caveat being that any colonist would need to be both loyal to the king and Protestant. This would begin a pattern of internicine sectarian conflict. However, it would not be until the nineteenth century that Ulster (Northern Ireland) began to be characterised as a ‘special case’, separate from the rest of Ireland. The resolution of the ‘Ulster question’ came in the form of the partition of Ireland into two parts under the Government of Ireland Act, which became law in May 1921. The six predominantly Protestant counties of Ulster became the ‘north’, and the remaining 26 (predominantly Catholic) counties became the ‘south’. In this way Northern Ireland was created and the borderline would come to represent: “a line of tension between two competing versions of nationalism”. However what is fundamental to the understanding of the history of Northern Ireland, was that the partition was far from a peaceful process, in the first year alone nearly a thousand people were killed – Northern Ireland was born of violence. Despite breaking out in the 1960’s the Troubles (Irish: Na Trioblóidí), came as the violent expression of deep seeded animosities and unresolved issues of territory, power distribution, religion and most importantly nationality. The protestant majority all voted Unionist while the Catholic population (who roughly constituted a third of the population of Northern Ireland) did not even see the Northern Ireland state as legitimate, the resulting demographic hegemony meant that: “the Stormont assembly returned the Protestant Official Unionist Party to office every year between Northern Ireland’s founding in 1922 and the end of the Assembly in 1972.” These competing national aspirations produced community fault lines that fractured under the combined economic and political pressure during the premiership of Terrence O’Neil. His attempts to reach out to the Catholic minority, to reconcile the sectarian divisions in Northern Ireland society was viewed as a weakness by the Unionist movement contributing to the rise of highly divisive Reverend Ian Paisley, who perceived O’Neil to be ‘too English’. Soon after an upsurge in political violence began with three killings carried out by the UVF (Ulster Volunteer Force). Just as Unionism began to fracture as the Orange order (A Protestant fraternity, sworn to protect the Protestant ascendency in Ireland) marched in defiance of O’Neil, a new generation of young Catholic nationalists found a powerful new political instrument i.e. the civil rights movement. Inspired by the work of the black civil rights movement in the U.S., the non-sectarian CSJ (Campaign for Social Justice) launched a number of initiatives targeting inequality and injustice on social issues such as housing. While initially met with little opposition the ‘long march’ from Belfast to Derry in January 1969 was attacked by loyalists and members of the RUC, culminating in citywide riots. Derry would continued to be a hotspot, the infamous ‘Battle of the Bogside’; provoked by an Orange Order march in what was then Derry’s most militantly Catholic ghetto erupted in sectarian violence. The violence led to the deployment of the British Army, a move initially welcomed by Catholics, however this relationship soon soured as the British Army were increasingly drawn into a counter insurgency campaign against Republican paramilitaries. These events led to an explosion of Catholic anger and in December 1969, the Provisional IRA was born. The catalyst for the split of the Dublin-based republican movement into two factions was disagreement over the issue of whether to pursue an offensive campaign in light of the arrival of the British army in Northern Ireland. While the Marxist faction within the IRA were reluctant to supply arms to Catholics in Belfast, the other group led by Daithi O’Connaill (which would include a young Gerry Adams and Martin McGuiness), saw armed struggle as the only means to achieve a United Ireland – the bombing campaign began soon after. As the intensity of gun battles between British forces and Republican paramilitaries increased, curfews were introduced and then most controversially in 1971 the Northern Ireland government led by Brian Faulkner (reluctantly backed by London) introduced internment without trial (or due process) imprisoning 1981 people in the first four years (often on trumped up charges) – out of those that were detained 1,874 were Catholic / Republican, while 107 were Protestant / Loyalist. Faulkner’s ‘folly’ was to not impose as strict restraints on Loyalist paramilitaries – reaffirming the IRA narrative. By far the worst year of the ‘Troubles’ was 1972, which began with Bloody Sunday in Derry in which 14 marchers against internment were shot dead by the British Army on January 30. This massacre gave massive impetus to militant republicans and would result in the IRA bombing campaign being extended to mainland Britain. Towards the end of the seventies, partly out of the recognition of the futility of fighting the British, the republican movement gradually shifted the emphasis from paramilitary to political activity. The hunger strikes of 1981 led by Bobby Sands were carried out in response to the British government withdrawing Republican prisoners special category status as political prisoners, Margaret Thatcher refused to bow to the pressure and after 66 days, Sands perished. This led to an upsurge in support for Sinn Fein – establishing them as a major political force. The Anglo-Irish agreement signed in 1985 (by the UK, Northern Ireland and the Republic of Ireland) was seen as a means of inducing unionist leaders to accept a devolved power-sharing arrangement. While the agreement failed to promote peace and reconciliation it did give the Republic of Ireland a consultative role in Northern Ireland for the first time. The historic agreement signed on the 10th April 1998, brought an end to a conflict that killed 3,500 people, most of who were civilians. The agreement itself set up Northern Ireland’s devolved political system and helped create the power sharing in the Northern Ireland Assembly, where laws would have to gain both nationalist and unionist majority support – thus preventing the majoritanism that had previously only served to reinforce ethno-sectarianism. As Higson notes: “The Agreement itself is based on the consociationalist model of “constitutional engineering” for societies experiencing social cleavages, whether linguistic, religious, racial or otherwise.” While the aim of consociationalism is to promote mutual consent and lead to the reconstruction of communal identities, that bind together previously antagonistic groups, some have argued that such agreements in adopting a conservative view of primordial identity as rigid and non transformable serve only to: “entrench and exacerbate antagonistic communal identities which will make further violent conflict more likely”. Whether this is the case it remains to be seen, however optimists point towards the St Andrew’s agreement of 2007, in which the DUP and Sinn Fein formed an executive, in which two of the most divisive nationalist figures of the troubles, Ian Paisley, and Martin McGuiness would serve as First Minister and Deputy Minister; an outcome that one would have expect neither could have foresaw during the troubles. English Richard 2006 Irish Freedom: the History of Nationalism in Ireland Basingstoke, Macmillan. Moore, Margaret (2001), The Ethics of Nationalism, Oxford: Oxford University Press. Hayward, Dr Katy. “The EU’s approach to NI recognises legitimacy of both British and Irish nationalisms.” QPOL. January 13, 2017.  Accessed January 22, 2018. http://qpol.qub.ac.uk/eu-recognises-legitimacy-british-irish-nationalism/. Patrick Thompson is a third-year IR student, his interests include critical theory and the critique of political economy.